Dermaplaning is a simple and safe procedure for exfoliating the epidermis and ridding the skin of fine villus hair (peach fuzz). Because dermaplaning is a quick procedure with few to no adverse effects, it has quickly gained popularity among cosmetic medical providers across the country. Using a scalpel and a delicate touch, the provider simply abrades the surface of the skin using light feathering strokes. This is a great treatment to offer to patients who want a deep exfoliation, but are not allowed or don’t want to use peeling agents on their skin because of the risk that the chemicals will be absorbed into the blood stream. It is also a first choice for patients who have excess villus hair on the skin. This hair often causes a buildup of dirt and oils in the follicles, so removing the hair gives the patient healthier looking skin. 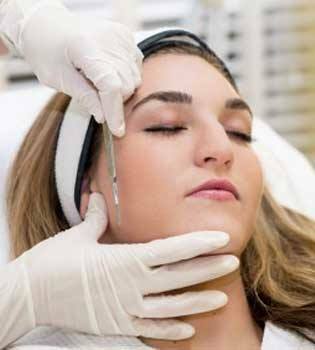 Dermaplaning is great for anyone who has a special event and wants a gorgeous glow. There is no downtime associated with this procedure. Dermaplaning can be done as often as every two weeks, although it is usually done when villus hair starts to grow back, which is generally in one month’s time.